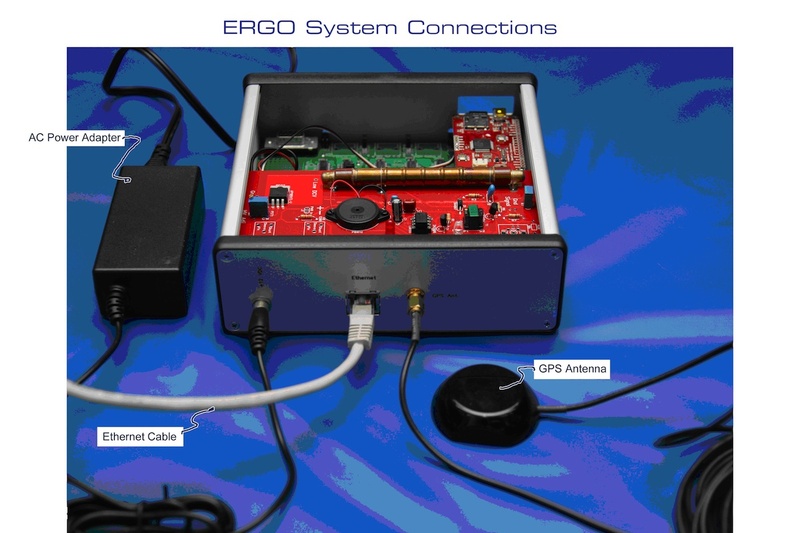 The ERGO detector/timestamp generator instrument, housed in an aluminum extruded cabinet approximately 6.5” X 6.5” X 2” and including the G-M Detector, GPS receiver, logic circuits, oscillator, datalogger, and Ethernet server interface. AC Power Adapter to supply 12 Volts DC to the Detector/Timestamp Generator. The GPS Antenna with 20’ of cable and an SMA connector (hex-type gold-plated fitting) permanently attached to the antenna. Attach the GPS Antenna by screwing the hexagonal nut on the end of the GPS Antenna cable onto the “GPS Antenna” connection on the rear panel. The “Ethernet” jack on the Timestamp Generator must be connected to the organization’s local-area network (LAN). The Timestamp Generator will automatically connect to the local router and request an IP address. In most cases, nothing will be required other than plugging in a CAT-5 cable to join the ERGO system to a hub or switch on the LAN. 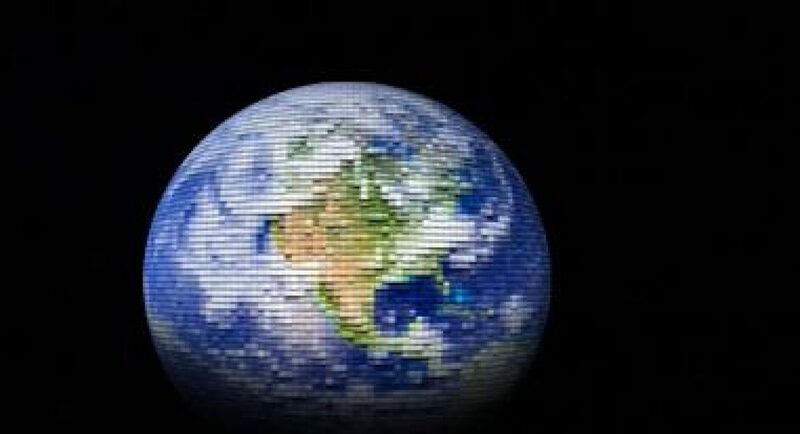 If communication is prevented by a local firewall, or if the LAN does not accept the request for IP assignment (DHCP), contact euclid laboratories for assistance. Finally, plug the AC Power Adapter into a local AC (mains) outlet and connect its output plug to the “+12 VDC” jack on the back of the instrument. The AC Power Adapter accepts 100-250 volts AC, 50-60 Hz. The system is provided with a US-style line cord; you may need an adapter to plug it into your local power outlet. Once the system is connected, place the GPS antenna in a window sill so that it has a clear view of the sky. If no window is available near where the ERGO unit will be installed, the GPS antenna may be placed in a remote location by means of an SMA extension cable (if needed, contact Euclid Laboratories); long cables can significantly reduce the GPS signal strength, so try to work with the cable supplied. The antenna is weather-resistant, so it may be placed outdoors, with the cable routed through the window or building wall by some means. Outside placement will give the greatest reliability and most precise timing. The most important factor is for the antenna to be able to “see” a significant portion of the sky. Looking at the sky in the direction toward the equator (south in the north hemisphere; north in the southern hemisphere) tends to improve reception. Once the connections are completed, the antenna placed, and power connected, wait to see if the blue “Event” light occasionally blinks. It if is blinking (perhaps a few times per minute), then the “physics” part of the system is working. Next, it will be necessary to verify that the system (your local ERGO “pixel”) is uploading information to the central SQL database server. You can look to see if your unit is online by checking the ERGO Telescope Event Map. Euclid laboratories will assist you in verifying that everything is working properly, and your data packets are being correctly received.